Nasija: 4.60 (converted to euro! ^^) PAID!!! Oh yes! And include your name and what you claimed in the subject and message! If ya guys have any questions, feel free to throw us a comment or a PM! :D Thank you! We finally got our shipping invoice for the GB I'm running with abbeymew! But that said! Let's see what we've got~! If anything appears wrong, please, do not hesitate to let me know! Since I've already paid this off myself, there isn't a super serious time limit, but, please understand that I do need my Paypal account somewhat refilled by tomorrow night. 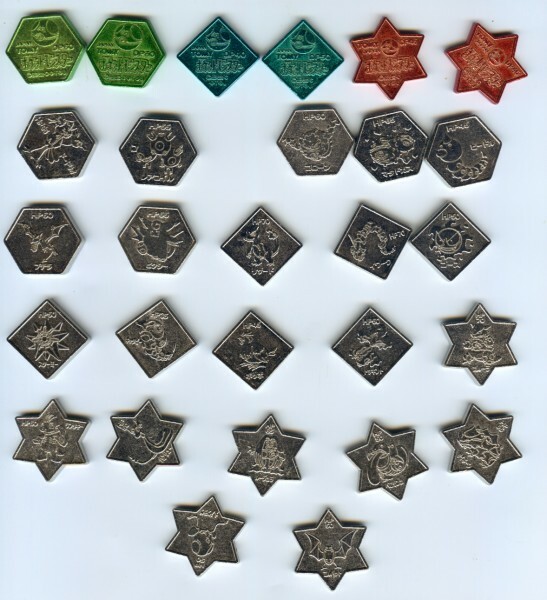 So far as coloured coins goes, there were six! I'll be keeping one Clefable, but the rest are up for grabs below! The rest were all single colour. Normal coins will start at $1.50 to $2 each and coloured coins at $2.50 - I only have one of some of these coins such as Gastly, so don't hang around hoping I'll have more to sell later. Bids are in $1 increments. Auctions end in one week! Coins will be shipped out within a week of auctions ending. 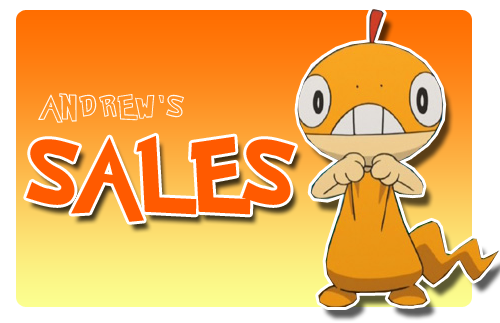 Just a quick reminder that offers for pretty rare plushes will end in around 14 hours!! 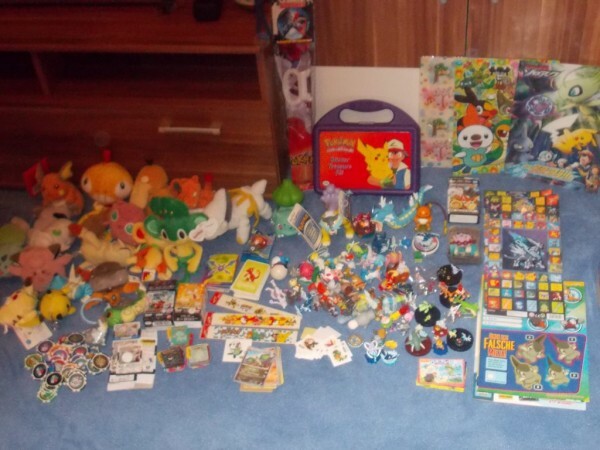 Some are still in pretty low prices and some don't even have offers at all like Mudkip and Raikou Pokedoll! Click here or click the picture below to get transported. I just wanted to remind you that there is less than 16 hours left for this GA. 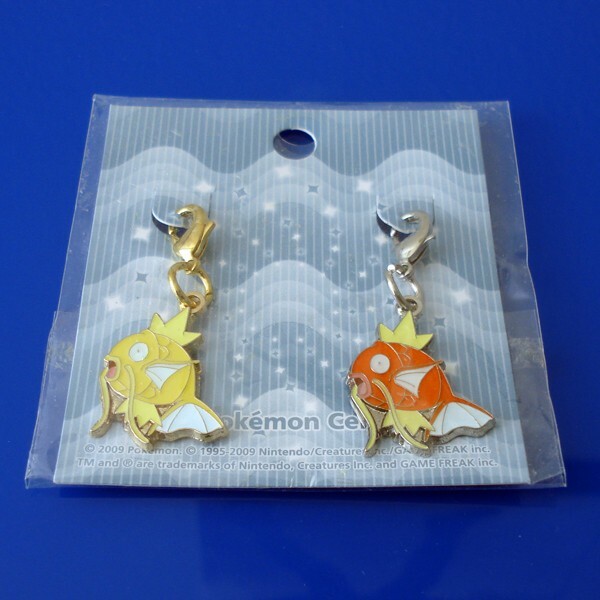 There is a lot of rare stuff like Pokeman pins and others! Also! you may put in an offer BELOW starting price if you so wish, and it will be considerd! 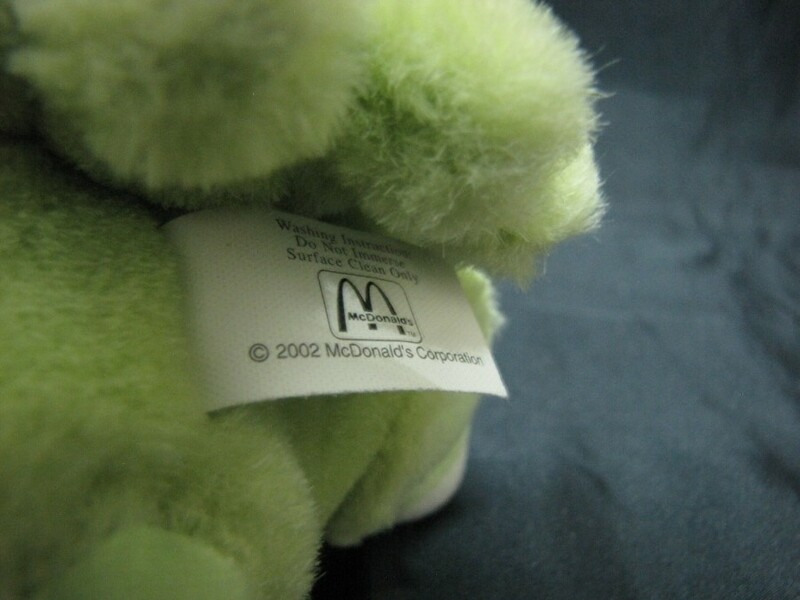 Today, I bring you some items that I putting up for sale. Hello everyone! 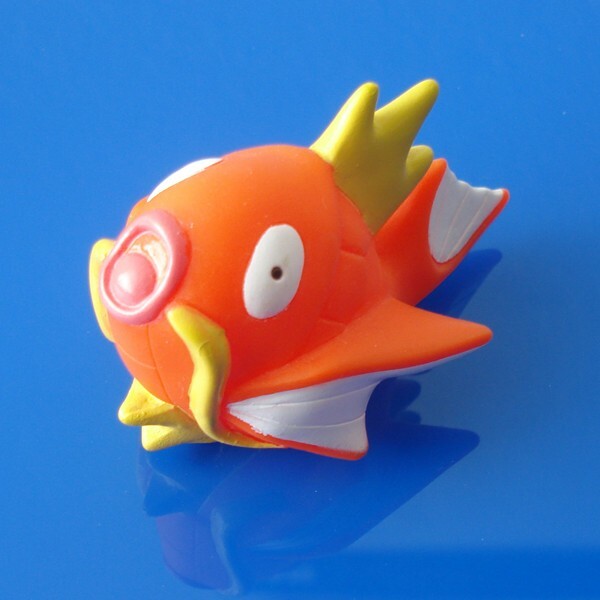 I am sure you were all waiting to hear news about the shiny gen 5 starters. Well, I just saw Brian post on facebook that he got them! This is his picture. Just look at that tepig! <3 I hope this is not old news, but I knew people would like to hear about it! A note for those of you involved with the Pikapals GA, we are still waiting on the shipping quote from Noppin. Once we have the quote, totals for payment 2 will be posted. And now, onto a boring wants post. Reminder middle-man service and looking for Jakks Gallade. Just a friendly reminder of my middle-man service. There are still 5 slots left. If there is no one interested, I have to quit it for this time. It looks legit to me, but the seller is offering two--one at 7" and 9". They are selling lots of plushes, which seemed like a red flag to me. It's Best Offer, or buy it now at 39.99$, which seemed odd. It's from Thailand. Anyone have insights? How is everyone doing? No surprise, I'm getting very into this community. I just love it here :) When I joined, my want list only consisted of a Magikarp Pokedoll but now it's pretty much never ending . . 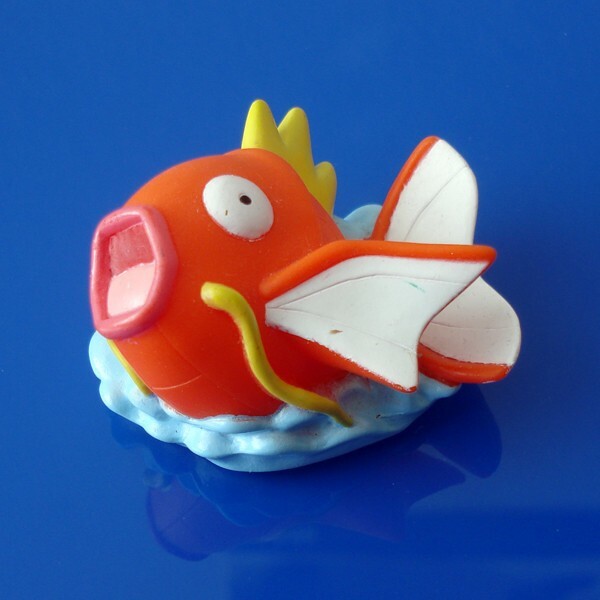 I have a case *I call it The Fish Tank* set up for my future Magikarp collection so they will be loved and cherished. I saw a Magikarp kid a while ago on here but I was too late. I would pay around $2 plus shipping. Okay, so I've seen that my pattern of post is mainly of gets. I think I will try to make one of those awesome photos stories with my next gets post as I should shake things up a bit. I was to excited when I received these to do a photo story thus, it is a simple gets post. Anyway, Come see my new additions to my collection! So thats about it for "Gets" I am waiting on a few other packages, plus a whole bunch of goodies from Y!J. That will be for another day though. I do have a small quick sale (custom charms) and my sales post. Prices reduced as I would like to get them to a new home! I am open to haggling! 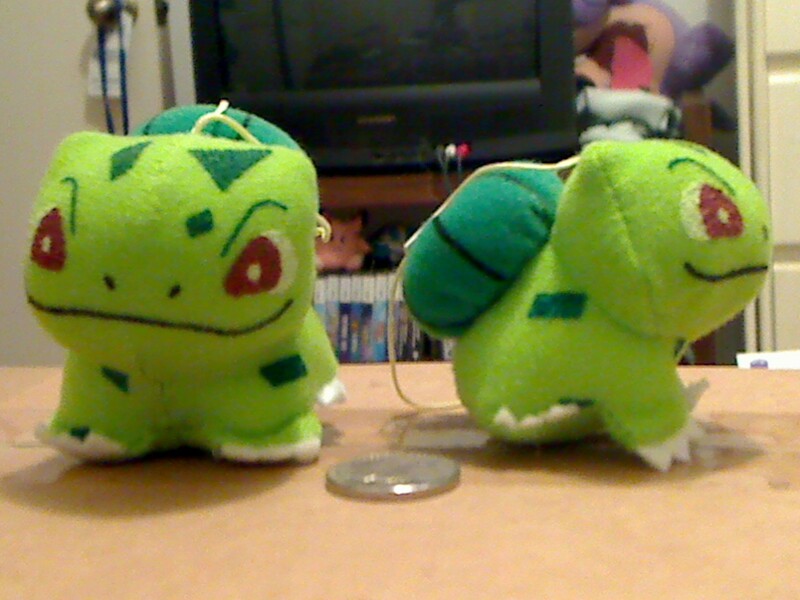 Shiny Bulbasaur Plushie Auction Reminder! They both end tomorrow at 8 pm EST! Click the pic or the link to be transported to the auction! Hello, a want, and advice! Hello, everybody! My name is Caitlin, and I'm a budding collecter looking to expand her collection. I mainly (and casually) collect Pokemon Cards (I have about 4000-5000), but I'm looking to start dishing out a bit more money to collect some of my high wants. Some of my most favorite Pokemon include Zapdos, Lugia, Celebi, Altaria, Drapion, Empoleon, and Cofagrigus, although I like many more. My most favorite game is currently BW/BW2, along with SS. My most favorite character is Colress. I also have three plushies and a poster or two, but I don't really think that counts :P There are some pictures under the cut (I'll update with them), because I heard that you guys love pictures. I'll also try and collect some of my favorites out of my collection. Anyway, the main purpose of this post is asking for a want and some advice. Basically, I'm a big fan of Colress/Akuroma, and I'm looking to purchase his Japanese FA card. So, first question - do any of you happen to have an extra floating around? I'd be willing to pay a pretty penny for it. I also wouldn't mind trading along with a payment, although we would have to do that via PM as I don't have sales permission yet. While I'm at it, how does one price cards? I'm at a total loss, haha. I also took a look over at some other sites (such as Ebay, et cetera), but they are all going for over $45. My question is this - if there are none floating about, would it be worth paying the $45+, or should I just go for a booster box for $10 extra? Granted, that means I'm not necessarily guaranteed Colress, but then I could possibly auction off (not here, of course) the cards I get to raise money to go and buy the actual card. And then I would have the added bonus of having whatever's left over from the auctions. But I suppose that all depends on the contents of the box. Hello everyone! I hope this post finds you well :D I have recently acquired 2 separate zukan with no bases. They are the Alteria line as well as the Blaziken piece from his zukan line (Normally comes with Combuskin and Torchic). I am not concerned about having the correct base, but I would prefer to have pegs that fit the zukan (ex: no Blaziken floating above his base on a long peg intended for flying zukan). I know that Swablu needs a peg that he get wedged into. If anyone has any pegs or bases for sale, or has an idea where I can purchase them that would be very helpful. Hey guys! 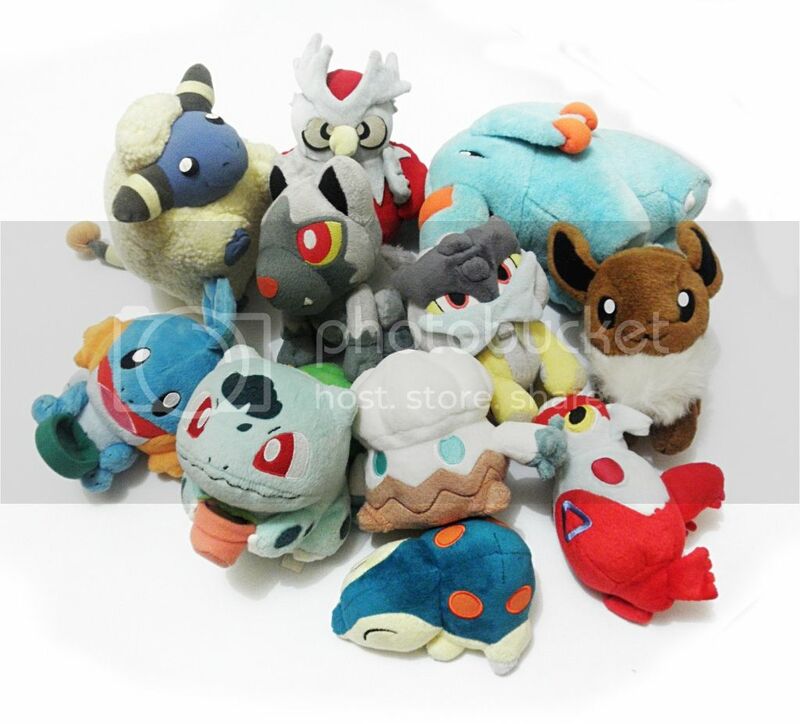 Sorry I dropped off the planet for a bit there, but looking into some of the new eevee merch, I just had a quick question: is the Takara Tomy plush different from the Pokemon center line? They look really similar to me, so I got confused. Shipping updates for my buyers! I have a ton more merch to post up eventually, so look out for more sales! It appears to be just about a foot tall based on the size of the Pikachu plush it is next to. 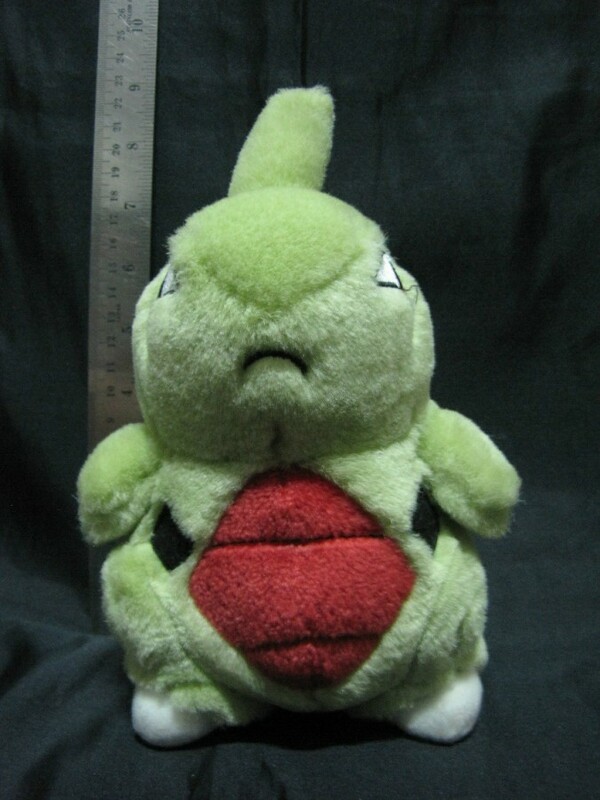 I can't seem to find it on the pokemon plush project website, so I was wondering if one of you could help. Thanks! !